One of the year’s most successful games has begun to roll out the details on continued support. 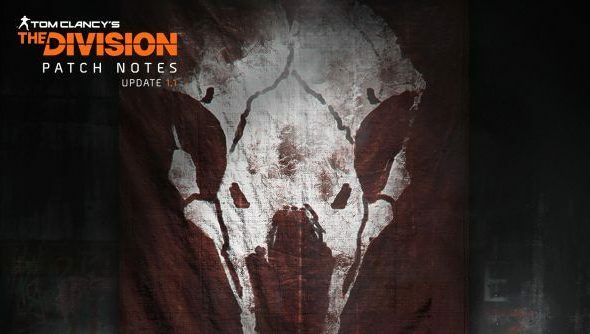 The Division reaches patch 1.1 with its Incursions update, adding lots more for the highest level of players to do, as well as scaled rewards to keep them progressing. It also adds trading, so a great loot drop doesn’t go to waste by popping up for the wrong person, and a huge batch of other improvements to every area of the game. One of the very best co-op games there is. Take friends, kill them in the dark zone. Falcon Lost – one of the new incursions that are designed for groups of high level players with great gear. This will be the hardest challenge in the game upon release. Gear Sets – gear that, when worn together, gives unique buffs and abilities. Will be dropping from the new incursions. Trading – players can now share items with their party for 2 hours after they’re dropped, assuming those players were there when the item dropped. Assignments – essentially daily and weekly quests, these are automatically applied to your mission log when you get into a game, and direct you around the world to defeat enemies, raid the Dark Zone or craft items. Dark Zone Supply Drops – chests will now spawn in the Dark Zone at specific times, containing high-level items that can be used immediately and don’t require extraction. Should encourage more PvP in the Dark Zone. Gear Score – a numerical value applied to all gear that helps delineate between two items of similar level and quality. A host of gameplay tweaks, bug fixes and other small improvements. It looks like a pretty great patch, though you’d have to ask some high-level Division players if it’s added enough for them to do. As with all massive, progression-heavy games of this type, the initial release was lacking in practical time fillers once max-level was reached and the story was completed. This looks to alleviate some of that, but there’ll be many more patches with exactly the same goal.